St. John’s Church Band was founded with the inspiration of Peter Douthwaite who was at the time the Captain of the Church Lads & Church Girls Brigade, which lead to the formation of a brass band in May 1991. There were 15 members at that time with 3 of the founders still remaining. The band was originally formed from the older end of the Church Lads and Girls Brigade whose average age was about 18 years. It was in 1976 that the Brigade band went from bugle to valve instruments taking part in the British Championship and becoming the Supreme Brass Champions of England, not once but for 3 successive years. You can trace the bands origins as far back as 1927, and even in those days it was not unusual for cornets to be played in a bugle band, as often members of the Droylsden Brass band would also be members of the Brigade. But to present day. The band over those short years has been quite successful in such things as the Whit Friday contest as well as other march and hymn tune competitions, and play at many prestigious events throughout the year. When did we adopt the word CASTLE in our band? Well, in the 1800’s there was a band in Droylsden called the Castle band. The area where St. John’s Church is situated is know as the Castle area. 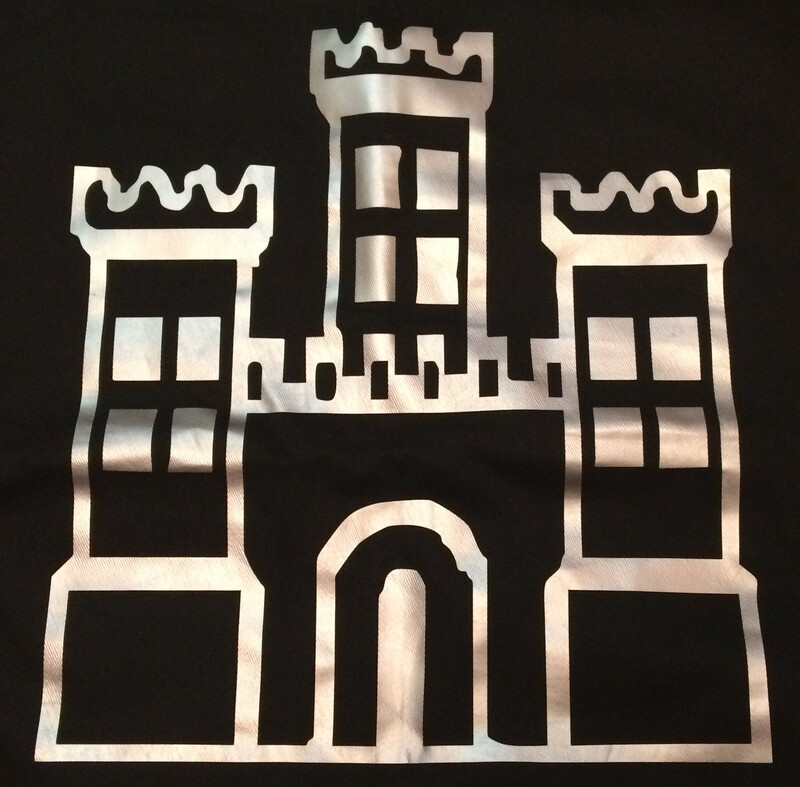 The local primary school Moorside was known as the Castle school, hence it’s logo is a castle. The band practise on a Tuesday evening at St. John’s Church Moorside Street from 8p.m. until 9.30 p.m. We are a friendly band and welcome all players of any ability. Our aim is to enjoy playing music. Unlike most bands our emphasis is not on contesting, but prefer to provide good entertainment for a wide section of the community. For further details please contact Peter Douthwaite on 0161 285 3583.